Industrial aluminum foil is a whole concept of aluminum foil used in industry compared to household aluminum foil. Industrial aluminum foil mainly includes packaging aluminum foil, aluminum foil for air conditioner, cable aluminum foil, battery aluminum foil, aluminum foil for capacitor and so on. Different from household aluminum foil, industrial aluminum foil have more widely application, the quantity is bigger, the requirements on the specification is more strict, so the ability of supply qualified industrial aluminum foil stands for the strength of this aluminum foil manufacturer. Industrial aluminum foil as raw and auxiliary materials of industrial manufacture, products are mainly used in packaging, daily necessities, buildings, and so on. Packaging aluminum foil must be the most used aluminum foil in the industry, food, cigarettes, medicine, beer, food container, candy, foil bag and many other fields. Aluminum foil is light, tasteless, safe and healthy. Air conditioning aluminum foil is another wide application, aluminum foil is anti-corrosive, mildew proof and no smell, so it is used to process the heat conducting wing material of the air conditioner heat ex-changer, which improves the life of the air conditioner, reduces the power consumption, improves the ventilation quality and the refrigeration effect. Aluminum foil is also very significant in building application, when it is pasted on the surface of thermal insulation material, it is more convenient and clean when constructing. 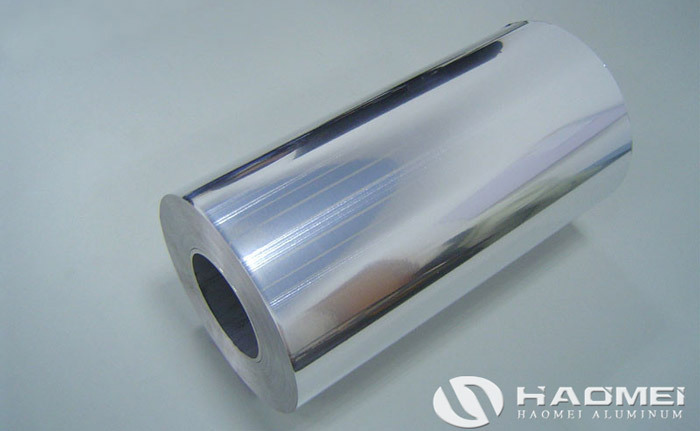 When choosing industrial aluminum foil for sale, Haomei aluminum can be your best choice for we have more than 25 years, experience and over 40 countries customers, factory price, qualified products and sincere service are the top three advantages compared to other aluminum foil suppliers, any request will be treat seriously if you contact us, we are looking forward to help you.